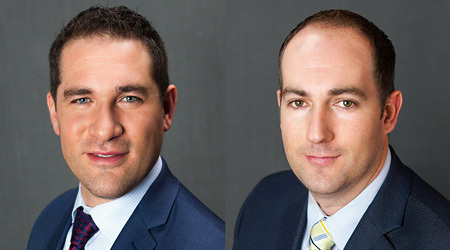 Spartan Chemical Company, Inc., a recognized leader in the formulation and manufacture of sustainable cleaning and sanitation solutions for the industrial and institutional market, today announced the promotion of Derek Awalt and Tarren Wethington to the role of regional manager, effective February 16, 2017. Mr. Awalt, joins Spartan as the regional manager for the Cincinnati, Ohio region. Derek most recently served as a business development manager for Vernovis in Cincinnati, Ohio. While at Vernovis, Mr. Awalt gained more than three years’ experience in sales and technology consulting. Prior to that, Derek was a solutions consultant for Xerox, where he worked in sales for over 7 years. Mr. Awalt holds a Bachelor of Business Administration from St. Joseph’s College of Maine, in Standish, Maine. Mr. Wethington, who has responsibility for the Phoenix region, joins Spartan from Brady Industries, in Farmington, New Mexico. Tarren held several roles at Brady over his six years of employment, first as a sales representative and eventually taking on the role of branch manager. Prior to his time at Brady, Mr. Wethington served as a general manager at Big 5 Sporting Goods, in Farmington, New Mexico, for ten years.